Oh those silly opensource guys. 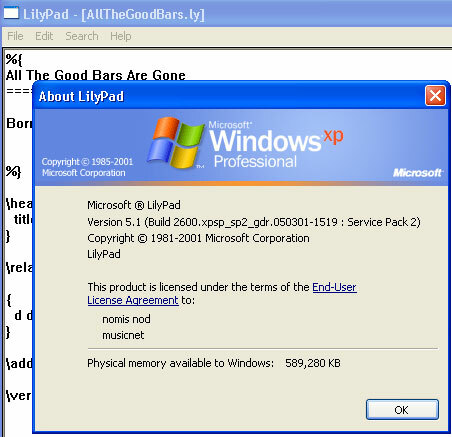 I'm playing with LilyPond, writing out the drunken song from last week's work-party, and I notice the very notepad-esque editor calls it's self LilyPad. ha ha, cute, whatever. 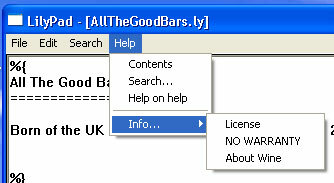 Then I open up the help menu, see it's slightly off, with a sub-menu for Info, instead of just a single selection. Still a nifty proggie, see.